We've just sent an email to [email protected] with a confirmation link. Clicking it will confirm validity of your email address and will give you access to your first exclusive subscriber only bonus. 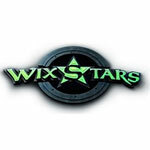 Wixstars is an online casino with a focus on community and communication. It’s a relatively new casino having been launched in 2016. The casino is owned by Brightnet, a Romanian company based in Bucharest. However, the games on the site are powered by Aspire Global International, a white-label solution provider located on the Mediterranean island of Malta. The company also processes all the casino’s credit and debit transactions. Wixstars is fully licensed under the Remote Gaming Regulations of Malta. The operator has its base on the small, sunny island and is regulated by the Malta Gaming Authority. 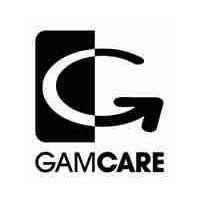 It also holds a license in Great Britain and is controlled by the United Kingdom Gambling Commission. In terms of design, one look at the site doesn’t leave players blown away. It’s flat and is designed according to a blue-teal colour scheme. On the ‘About’ page, the casino makes a bold claim that it strives for excellence. They can talk the talk, but can they walk the walk? Let’s find out. Nowadays, players want to join an online casino with a reputable name which they can trust. Being one of the newer gambling sites on the market, it takes time to make a name for itself. But is it safe to play at Wixstars? The operator uses 128-bit Secure Socket Layer digital encryption technology (SSL) to ensure that all gamblers’ sensitive information is transferred securely over the internet to the casino’s server, which is protected by the latest firewall from Comodo Secure. Players’ personal data is also kept confidential and is not shared with third-party organisations. The site supports multiple languages including English, German, Finnish, Swedish and Norwegian. Regrettably, not everyone has access to Wixstars Casino as the operator only accepts players from Australia, Austria, Canada, Finland, Germany, Ireland, Netherlands, New Zealand, Norway, Sweden, Switzerland, and the United Kingdom. Gamblers can also access Wixstars Casino from any smartphone or tablet device, be it iOS or Android, as the site is optimised for mobile. There’s no need to download an app as all the games are available in instant play. Players can also collect rewards from playing on the casino’s mobile platform. You can use the QR code on the website to instantly load the casino on your mobile. If you have any doubts or any questions, players can just contact the casino directly. Wixstars offers professional customer support via chat, email and phone. Their fully-trained support agents are available seven days a week between 8am and 1am CET. With the help of Aspire Global, players at Wixstars Casino have access to a variety of games from leading gaming providers like NetEnt, Amaya, NYX/NextGen Gaming, WMS and Microgaming, to name just a few. All the games are provided via a web-based platform that loads up directly through your internet browser, which means that there aren’t any enormous files of software to download and bombard your computer, mobile or tablet device. Their games load fast and have high-quality, 3D graphics which will surely keep players glued to their screens. Wixstars Casino has an extensive games catalogue of over 500 great video slots including player favourites such as Mermaid’s Diamond, Mighty Sphinx, Jewel Quest Riches, Viking Runecraft, Butterfly Staxx, Thunderstruck II, Gonzo’s Quest and Raging Rhino. Gamblers can also choose between over 60 speciality games like Keno, Mahjong, Snakes and Ladders, Dominos, Bingo and various themed scratch cards. Unfortunately, the casino is lacking in table games, having only a handful of Roulette and Blackjack variations as well as a couple of other games like 3 Card Solitaire, Royal Poker and Lucky 21. What’s odd, is that Video Poker games like Jacks or Better, Deuces Wild and Joker Poker don’t have their own section and thus have been thrown into the table games category. Then, there is a section dedicated to live casino games, but I have to warn you, it’s rather limited. There is a total of nine games of Roulette, Blackjack and Baccarat, including Roulette VIP and Blackjack VIP. Loyal members of the Wixstars community can upgrade their status by joining the casino’s VIP club to reap plenty of benefits. There are six levels from VIP Bronze to VIP Prestige which you can climb to by collecting points from depositing and playing games. Some of the perks of being a VIP are fast cash-outs, a dedicated account manager and free games on Sundays. There seems to be a lack of information about payment methods on Wixstars Casino’s site unless you sign up for an account. However, once you sign up, there are various payment methods available to players including Boleto Bancario, Click and Buy, Direct Bank Transfer, Discover, EcoCard, EcoPayz, EntroPay, Euteller, FundSend, GiroPay, Instadebit, Lobanet, Maestro, MasterCard, Neteller, Paysafecard, POLi, Skrill, Trustly, Visa and Zimpler. The minimum amount you can deposit is 10 credits, and that goes for the minimum withdrawal too. Players can deposit as much as they wish, but cannot withdraw more than 7,000 credits in any one calendar month. Cash-out requests are usually processed between three and ten business days from the date of the request. Some of Wixstars’ cash-out methods involve third parties, which explains why delays may occur from time to time. There are plenty of great promotions and bonuses on offer at Wixstars Casino. The very first gift to new players is a 100% match bonus up to 200 credits and 100 free spins. This is followed by a second-day deposit of a minimum 20 credits and an instant 40 extra free spins. The next treat is a third-day deposit, whereby a minimum deposit amount of 20 credits will reward players with 40 additional spins. But that’s not all; every Monday is a frenzy at Wixstars as any deposit worth a minimum of 30 credits will get you countless free spins. Unfortunately, non-members of the casino cannot see the bonus T’s and C’s, but we can tell you that these great offers do have a catch. Any winnings received upon playing a deposit bonus are subject to a wagering requirement of 35 times the sum of the welcome bonus before cashing out. It also must be wagered within 21 days of being credited to one’s account. Furthermore, any winnings acquired upon playing bonus free spins are considered a bonus, and as such must be wagered 50 times before any withdrawal may be made. Also, those free spins will also expire in 24 hours after being used. There are a lot of good things about this casino. The large selection of payment methods and games available to players are certainly positive points. However, we find the limited number of table games and the maximum withdrawal amount a bit distressing. Other than that, the bonuses definitely meet our approval and the wagering requirements are fairly standard compared to other online casinos. More importantly, the casino provides players with a safe gaming experience. My recommendations are based purely on my own experience playing the online casinos you see I’ve reviewed. Due to the ever-changing nature of the industry, services and games may have changed since I wrote up the reviews and text on this website as may terms and conditions of play. Please always ensure you read the terms at any online casino you decide to play at before depositing and be aware of the laws regarding online gambling in your country of residence.